I have been doing this for years and my friends like it. The only ingredients that have stayed the same are the tofu that serves as the base of the salad and the turmeric that gives it the yellow color of egg salad. 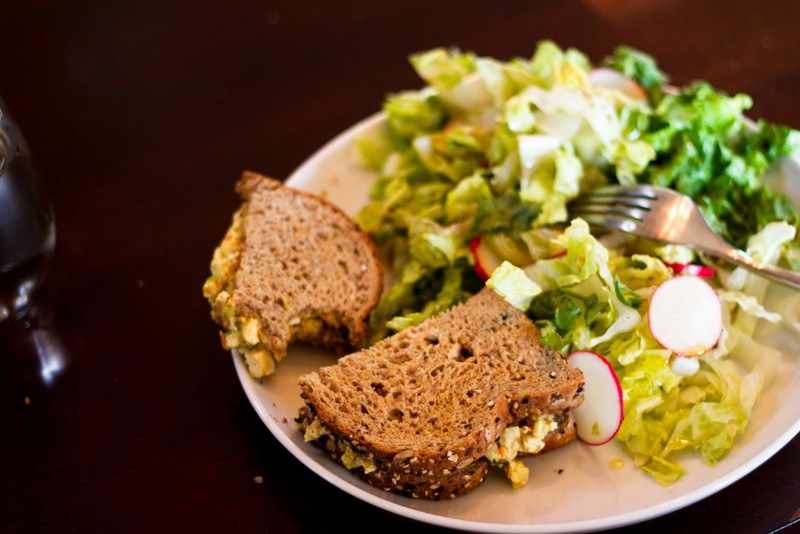 If there is something you have always liked in egg salad, feel free to try it here. A little pickle relish, perhaps? Serve the salad on a bed of greens or spread it on bread or bagels, adding lettuce, tomatoes, pickles, or other toppings of your choice. Put the tofu in a bowl and add the rest of the ingredients. Mix well.